A couple months ago, I ordered a pound of white chocolate to play around with. A few days later, two kilograms showed up on my doorstep (over four pounds). A happy accident? I’d say so! But it left me with a bit of a dilemma… so I asked you guys for advice. What should I do with so much white chocolate? I got a lot of great suggestions, but one stood out in my mind: White Chocolate Peppermint Bark. Once the idea was in my head, I couldn’t get it out. Chocolate bark is delicious, easy to make, and perfect for holiday gifting… the only problem is, it’s hard to write a recipe for it… it’s basically melt, pour, top with crushed candy, and eat. So now I had a new dilemma. How to make it more interesting? My answer came when I started thinking about the very person who had suggested the peppermint bark in the first place. My friend Carey does some incredible things with drink-making. She comes up with some of the most creative beverages I’ve seen, like this Smoky Cardamom Coconut Cuba Libre, or this Roasted Raspberry and Grapefruit Cocktail. She also basically invented a whole new way of making flavor-infused simple syrups, which pretty much puts her at the top of the awesome scale in my book. 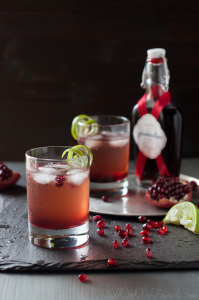 You may have noticed a few drink recipes showing up around here as well, like this Pomegranate Ginger Fizz, or my Homemade Eggnog. This is in no small part due to inspiration from Carey. So, I set off trying to turn peppermint bark candy into a cocktail. 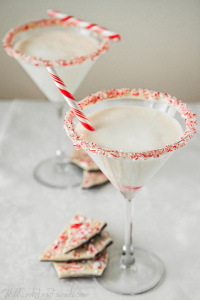 There are actually three recipes in this post — homemade white chocolate liqueur, peppermint bark martini, and double chocolate peppermint bark candy. 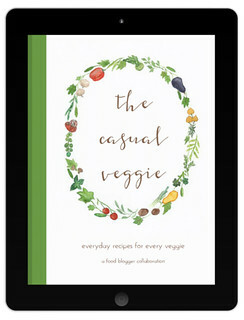 If you’re like me, and you’re still pressed for last-minute gifts, the latter makes a perfect stocking-stuffer. 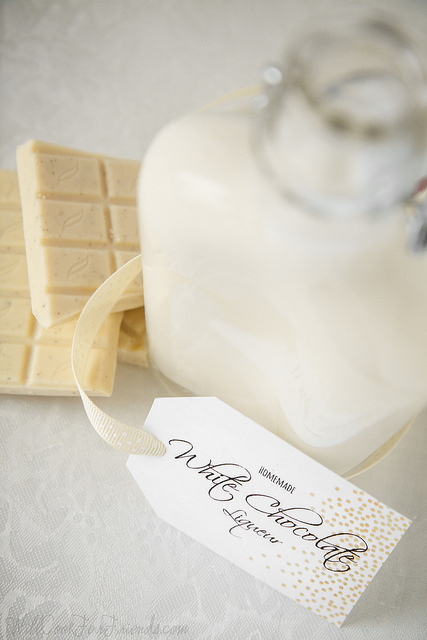 Or, if you’re feeling really generous, you could give a bottle of white chocolate liqueur… but let’s not get too carried away. Carey, this one’s for you. If I could send alcohol in the mail, you can bet you’d be getting one of these for Christmas. Cheers! I’m not really certain you can call this a real martini, seeing as it doesn’t have much vodka in it… but it looks insanely decadent served up in a martini glass, so I’m sticking to my title. The first step in making this cocktail is having some good quality white chocolate liqueur. Now, you can always use the store-bought, name-brand stuff… no judgement here, that stuff is tasty!… but if you know me, I’m all about doing things from scratch, so I started looking for recipes. And do you know what I found? Not a single one. There were plenty of recipes for homemade dark chocolate liqueur (using cocoa powder), but none for white chocolate. Well, well! It looks like I had my work cut out for me! In my next batch, I reduced the chocolate, and the results were rich and creamy. I tried to keep the level of sweetness close to store-bought, but this homemade version is still not quite as sweet. I prefer it that way, but if you want it sweeter you can increase the sugar by another tablespoon or so. The best part of making things like this from scratch is being able to control the amount of sugar and booze. If you want a sweeter drink after the fact, just dissolve some sugar in warm milk and add it to taste. As for the booze, start slow and add more as needed. *Be sure to use real white chocolate here — steer clear of anything that says “white chips,” or “white morsels,” and avoids using the word “chocolate,” as these products are typically made out of sugar, palm oil, and artificial flavorings. If it doesn’t say it’s chocolate, it probably isn’t! I’m a big fan of Guittard, Valrhona, or Michel Cluizel white chocolate, but of the cheaper, more available brands, Ghirardelli is one of the few that still uses real cocoa butter, and it will make a fine chocolate liqueur! **Feel free to use more or less alcohol, to taste. By my rough calculations, 7oz. 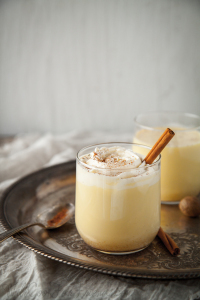 of rum or vodka (at 40% alcohol by volume) will make your final liqueur approximately 14.5% alcohol by volume, or very close to the name-brand white chocolate liqueur, which is 15%. If you aren’t sure how much to use, start slow and add more as needed. 1. Roughly chop the chocolate and place it in a large heat-proof bowl. Set the bowl over a pot of barely simmering water, making sure the bottom of the bowl does not touch the surface of the water. Heat until the chocolate has melted, stirring frequently. 2. Add the sugar and 1/4 cup of the cream. Heat, stirring, until the sugar has dissolved. Add the rest of the cream and the milk, and stir until smooth. 3. Remove from the heat, and stir in the vanilla extract and rum or vodka. 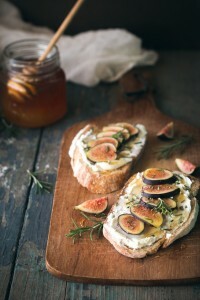 Let cool completely at room temperature, then refrigerate overnight. 4. Skim away any of the fat from the chocolate and cream that has risen to the top, and pour into a (very clean) bottle or jar. Keep refrigerated. I haven’t experimented with how long this liqueur will keep, but just to be safe I would try to use it up before the expiration date of the milk or cream. I suspect it will last longer than that because of the alcohol, but I can’t say for sure… it goes so fast, anyway! *To make your own vanilla vodka, steep a couple of vanilla beans in 8 oz. of vodka for 5-10 days. Or, replace the vanilla vodka in this recipe with plain vodka, plus a 1/4-1/2 tsp. vanilla extract. 1. Melt the white chocolate in a shallow dish, and dip the rim of the glass into it. Shake off any excess, then dip into the crushed peppermint candies. Place glass in the freezer for 5-10 minutes to set. 2. Shake liqueurs with ice, then pour into chilled glass. Add milk or cream, to taste. 3. Top with fresh whipped cream and more crushed peppermint candies, for garnish. Warning: do not attempt to bite rim of glass. 1. Line a rimmed baking sheet with parchment paper, and set aside. Crush peppermint candies, and set aside. 2. Melt the dark chocolate in a heatproof bowl in the microwave, heating in 30 second intervals at 50% power, stirring in between. When the chocolate is almost melted, remove from the microwave and stir until fully melted. Pour into prepared baking sheet, and spread into an even layer. Place in the fridge until set, 15-20 minutes. 3. Melt the white chocolate in the same manner as the dark chocolate, stirring frequently until fully melted. Stir in the peppermint extract, and pour over the fully-set layer of dark chocolate. Spread into an even layer, and top immediately with crushed peppermint candies, pressing them in slightly to make sure they stick. Return to the fridge until fully set, 30-40 minutes. Break into pieces. 4. Candy can be kept in an airtight container in the fridge for up 2-3 weeks. 2. Place 12 oz. of the dark chocolate in a heat-proof bowl, and set over a pot of gently simmering water, making sure the bottom of the bowl doesn’t touch the surface of the water. Melt the chocolate, stirring frequently, and continue to heat until the chocolate reaches a temperature of 115 degrees F on a chocolate thermometer . 3. Remove the bowl from the heat, and add the remaining 2 oz. of chocolate a little at a time, stirring vigorously until each addition has melted before adding the next. Continue to stir until the chocolate reaches a temperature of 92 degrees F.
4. To test if the chocolate is in temper, dip the back of a spoon into it. Place the spoon in the freezer for 2-3 minutes to set. The chocolate should be smooth and hard. If it is not hardening, or if it dries with a dull, streaky-surface, the chocolate is not in temper yet. Stir more, and test the chocolate again. If the chocolate goes below 90 degrees F, place it back over the simmering water to re-warm it. Do not let it go above 92 degrees F.
5. Once the chocolate is in temper, pour it into the prepared pan and smooth into an even layer. Place in the fridge until set, 15-20 minutes. 6. Repeat this process with the white chocolate, this time heating the chocolate to a temperature of 110 degrees F., and then cooling it to 88 degrees F. Test the chocolate the same way as you did with the dark. 7. Once the white chocolate is in temper, stir in the peppermint extract and pour over the dark chocolate. Spread into an even layer, top with crushed peppermint candies, and refrigerate until fully set. Break into pieces, and store in an airtight container in the fridge, or at cool room temperature, for 2-3 weeks. 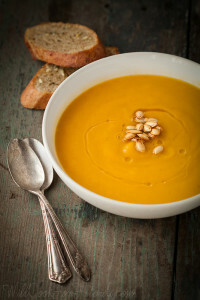 Recipe notes: the quick method given for this recipe is fast and easy, and has great results most of the time. Sometimes, depending on the chocolate, using this method will result in a slightly softer chocolate bark that melts more easily than it should. This is where tempering the chocolate comes in — making sure the chocolate is properly tempered is a bit more work, but it will ensure that your bark sets up fully and breaks into pieces cleanly. For either of the methods above, I suggest using high quality chocolate, preferably in bar form (not chips). For white chocolate, look for something with at least 30% cocoa butter content, and avoid anything that says “white chips” or “white morsels”, as these are often made of hydrogenated oils. If it doesn’t say “white chocolate” it probably isn’t! This post contains affiliate links. This means that if you follow a link to amazon.com and make a purchase, a small portion of your purchase goes to me, at no extra cost to you. I am not sponsored by any of the products I link to, they are just the items I personally use and would recommend. Your support helps make this blog possible – thank you! Oh my – I want to try ALL OF THESE! Carey always blows my mind with her drinks as well (she inspired me to start making my own homemade bitters). Really love the last one where you mix both dark chocolate with white. I like white chocolate but I find that it gets too sweet for my pallet in large quantities. I bet some dark chocolate would probably be the answer to balancing that out! Thanks, Shelly! Isn’t Carey the best? I’ve never made my own bitters, but I definitely want to. I love having a layer of dark chocolate in my peppermint bark. I feel like it kind of grounds the whole thing, and like you said, keeps it from being too sweet. This is the sweetest post ever, Willow—it made me so happy! And I think I know what’s in my little gift box eeeeeeeeeeeeeeeeeeee!!! PEPPERMINT BARK FOR BREAKFAST LUNCH AND DINNER. Oh mah goodness, look at that creamy, white chocolate, boozy deliciousness. This is seriously a gorgeous cocktail and it will be going on my list for next year. Happy New Year, Willow! Thanks Jennie, Happy New Year! Haha, thanks, Jeanette! I hope you like this homemade version! Great question, Bridget! I haven’t tried freezing it myself, but I don’t see why it wouldn’t work, and would certainly help extend the shelf life a bit.